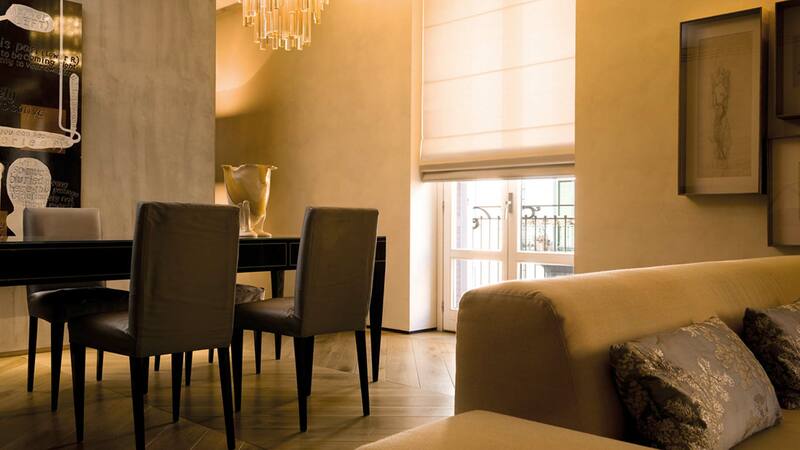 Roman blinds with a beautiful, drape effect require supple fabrics. The sophisticated paper and soft shimmering Eco-fabrics in our collection are ideal for roman blinds. Coulisse has a large selection of Roller blind fabrics available in flame retardant varieties and in XL widths up to 300 cm, especially suited for large windows and the contract market. Many of these fabrics can also be perfectly used for Roman shades. The natural materials and sophisticated textures in this collection filter the light in an unparalleled way. In addition to paper fabrics, linen varieties are also included in the collection and available in pure colors. These natural fabrics create a warm interior and have a timeless look and feel. This new contract collection is a special mix of existing and new fabrics. The flame-retardant qualities and the extra width of 280 to 300 cm make these fabrics ideally suited for the contract market. The new items in the collection feature a distinctive natural textile look and feel. The wool and cotton look fabrics in this collection add atmosphere and warmth to the interior. The fabrics are suitable for roller, panel and vertical blinds and a selection is suitable to handle up to Roman shades. View a mood impression of this new collection here. A classic with a timeless elegance. 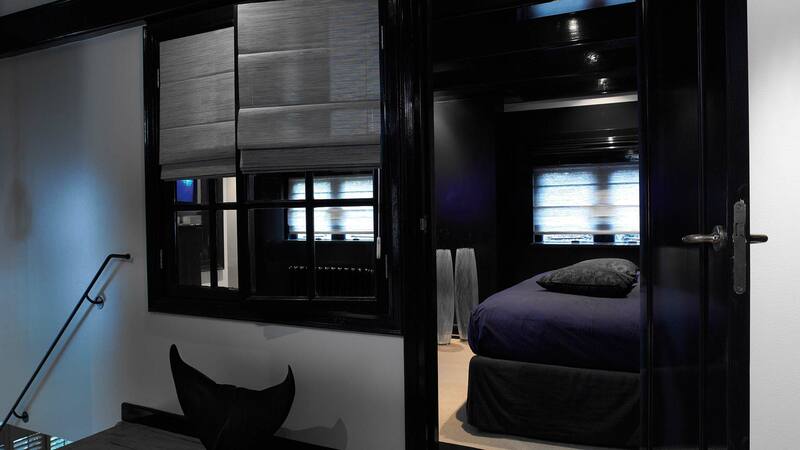 Roman blinds combine the look and feel of a curtain with the flexibility and convenience of a roller blind. The subtly draped fabric creates a warm atmosphere and a pleasant acoustic. Their rich classical touch makes Roman shades a beautiful choice, also for large windows and the project market, giving a sense of emotion and coziness. Our collection includes both fabrics and easy to assemble roman blind systems. For roman blinds we have developed unique systems characterized by easy assembly, installation and user-friendliness. Thanks to the modular structure of the hardware systems, it can be extended with a minimal number of parts, regardless of the desired configuration from basic to a full-option design. Due to the uniformity and interchangeability of the components, the stocks in your warehouses can be kept as low as possible, saving place and ensuring limited stock value. This XL Roman blind system is ideal for larger windows. The new hardware system combined with one of the flame-retardant fabric qualities and the extra available width, make this new window covering an ideal solution for large facades in homes or offices. The system itself can go up to a width of 5.8 meters and a height of 5.5 meters. The fabrics can be assembled in accordance with these plus sizes. The blind system can be operated by a manual XL chain and is available in a motorized version. The silent and efficiently working control unit ensures a comfortable and lite operation of the system. A special gearing reduces the pull force that is needed for XL fabrics. The compact rail can easily be installed with installation clips, which are virtually invisible. Please click here for the catalogue. 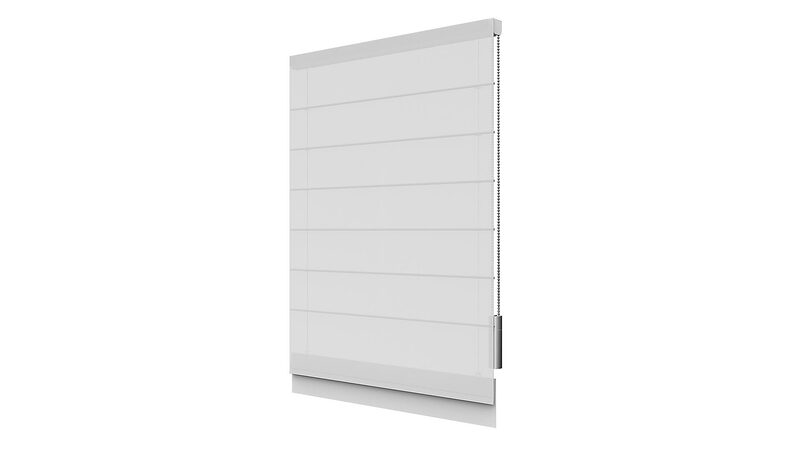 New in our roman blind product range is an XL system. The system is ideal for larger windows and the project market. Also suitable for the project market are the new fabrics in our Contract Collection. Their soft textures and warm look and feel create a sense of emotion and coziness in the interior.